Marriage Blog: You’re my partner not my project. I can’t always say it fix things correct the first time. I wish I had the engineer mindset of my father or my grandfather possess They had the ability to take anything apart and put it right back together. But I do my best. Typically, I’ll google answers and watch the demonstration on youtube. More often than not, the project does get done and Anne is very happy. I’m not always in “fix it” mode but when I am, I’m ready to look for anything that needs to get done. 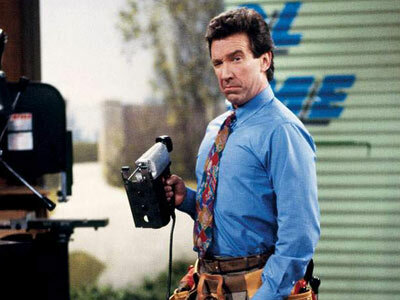 I’ll get into a zone and harness my “Tim ‘the tool-man’ Taylor” mindset walking around looking for the next thing to fix. I don’t care if it’s a chip in the drywall or Anne’s hair-straightener, I’m ready to attack. He/she feels like a project…nothing more than what is wrong in the home. That may not be your intention, but it’s the truth of what is happening. You are so bent on “fixing” what is broke in your spouse that you’ve forgotten that it’s God’s job to fix broken people. What are the traits of a spouse who thinks they are married to project? You know better. Your way of life is superior and, obviously, your spouse isn’t living up to that standard. There’s no equal footing. Two full partners are not making up this marriage. You are the majority stock holder and your spouse is there as a silent partner. Decisions MUST go through you and ramifications follow if they don’t. You are the superhero and your spouse is the irrelevant side-kick. You save the day and your spouse wonders why the side-kick is even necessary. When you refer to your spouse in conversations with friends, they can tell from the tone and the look on your face how discontented you are with him/her and they hear how you’re going to change them. You tend to talk to your spouse like a child. Why not? He/she isn’t as mature as you. You drive to fix your spouse is proof enough that you need help just as much as he/she does. Stop trying to find fulfillment in fixing your spouse and find your fulfillment in Christ. Stop wielding conviction in the home when that is the job of the Holy Spirit to convict. I like what Pete Briscoe says, be “intimate consultants. You are intimate because you know your spouse better than anyone else. And you are a consultant because you point your spouse in the right direction when asked.” Remove the undo pressure and stress of the home and instead of trying to do something you don’t have the ability to do, provide an atmosphere that fosters the presence of God. It’s in His presence we find fullness. In in His presence, all of us are changed. We’re all broken but it’s in Him we live and move and have our being.